Do you listen to the right guitar players? 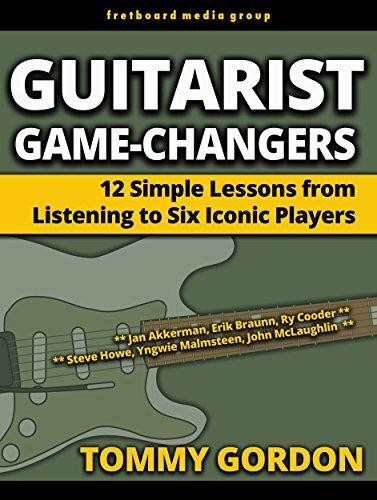 What can you learn if you start listening to really iconic guitar players who are being largely overlooked by others? Here are 12 simple guitar lessons pulled from listening to six great — and largely underappreciated — guitarists. Differentiate your playing from others by becoming more deliberate with your influences. These Six Iconic Guitarists Will Inspire You. Sure, we can learn from everyone – from every band, from every musician — but if every guitarist coming up in music — in rock, jazz, fusion, metal, country, blues, funk, or pop — has exactly the same set of influences, no wonder no one can stand out. Be Different. Stand out. Learn from these Six Game Changers. Focus on these six players – their music, their approach, their innovations, and you’ll have more direction when it comes to your unique sound. Check out these Guitar Player Profiles. Here are six short profiles of guitarists you SHOULD be listening to — including a couple lessons or takeaways from each players and a suggestion of where to begin your own discoveries of their music. What are you waiting for? Get this today!